Experience ‘ice’ skating for the first time? 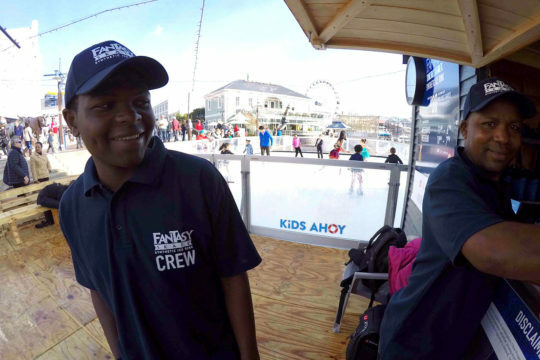 Fantasy Skate offers a turn-key 130m2 state of the art synthetic ice rink experience for private and corporate rentals, suitable for indoors and outdoors A first of its kind in South Africa, developed by skate professionals in Canada and operated by Cape Town locals, this rink is the real deal! A fun, whole family, outdoors skating experience using real ice skates giving a 98% equivalent to real ice skating experience. Allow one day for assembly and one day for breakdown. Only suitable for installation on a solid level surface. Set up comes with full turn-key operation, staff, skates, cleaning equipment, blade sharpener etc. We do all the work, you have all the fun! The Blue Train Park has been in operation for more than 55 years. The property is approx 3500m2, less than 25m from the Atlantic Ocean with a backdrop of Lionshead, Signal Hill and Table Mountian.